Though he hasn't made an official Jackass film (and yes, they're films not movies) in some time, Johnny Knoxville remains committed to bringing his stupid and dangerous sense of humour to the big screen. Following the success of 2013's Bad Grandpa, the accident-prone comedian has another project in the works. His next project is called Action Park, and it's based on the notorious New Jersey theme park of the same name. The film is being written by Silicon Valley writers John Altschuler and Dave Krinsky, and will be produced by Knoxville's Dickhouse Productions. 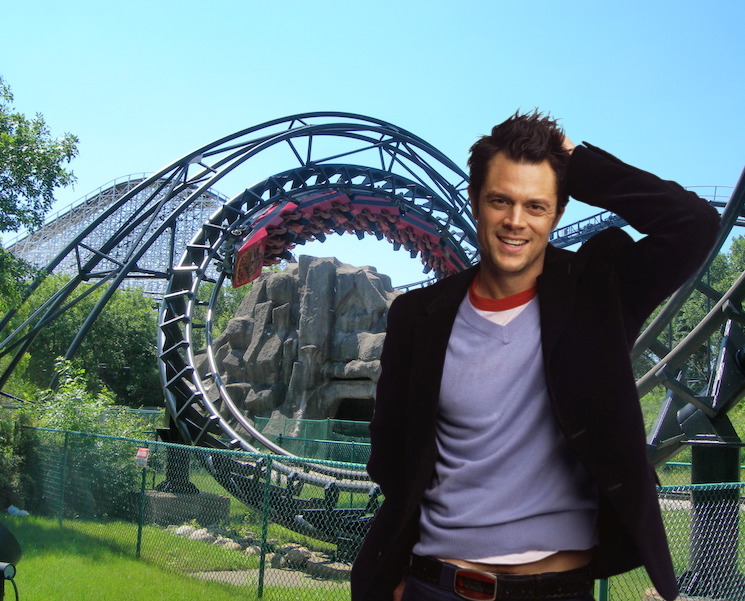 The idea for the narrative film is that Knoxville and his "cohorts" have irresponsibly designed a theme park of their very own. Knoxville has previously said that he plans to draw from real-life stories from Action Park's past. Tim Kirkby (Look Around You, Veep, Fleabag) will direct the film, which is set to begin production in South Africa this summer.